The cornerstone for the Tate County Courthouse was laid in June 1875 with an extravagant celebration. 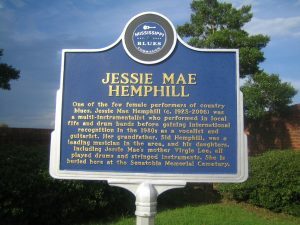 Two trainloads of visitors from Memphis joined local citizens from throughout the county for a celebration that included a large parade down Ward Street led by the Temperance Ladies. Tate County’s unique Italianate courthouse was constructed for $19,800. 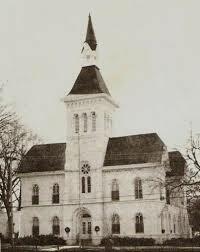 Additions were made to the courthouse in 1904 and again in 1975. The new courthouse annex was completed in the summer of 1999. During the most recent renovation, the courthouse’s exterior brick, which had been locally made, could not be returned to its original unpainted state because of its porous nature. A paint color was carefully chosen to echo the color of the natural brick, returning the Tate County Courthouse to look as it did when it was first built in 1875. The cost of the new annex and renovations to the original courthouse was $3,152, 900. 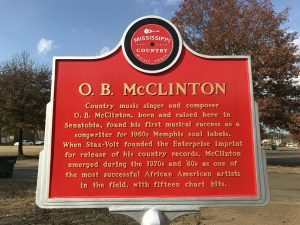 During the renovation, the Senatobia Main Street placed a time capsule under the new concrete sidewalk leading to the front door. 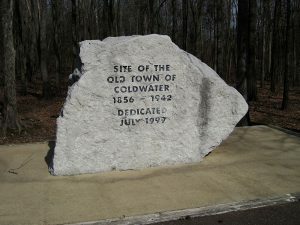 A commemorative stone was laid to locate the capsule with an inscription which reads, “Time Capsule, Tate County, 1873-1998, Open 2098”. Mementos placed in the capsule included a 125th commemorative anniversary edition of the local newspaper The Democrat, a Bible, a Tate County phone book, a 1998 one-dollar bill and a copy of the book The History of Tate County. The Tate County Courthouse is home to the Heritage Museum Foundation of Tate County. The museum’s professionally designed display cases feature exhibits of the county’s history, including education, military service, pioneer life, cultural life. The Tate County Courthouse was added to the National Register of Historic Places in 1994. 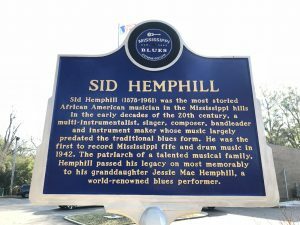 In 2002, it was awarded the Mississippi Heritage Trust award for excellence. 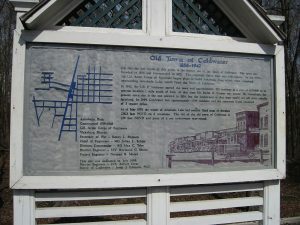 In the summer of 2010, the James Gilliam Chapter, MSDAR, recognized the significance of the historic courthouse with an historic marker. 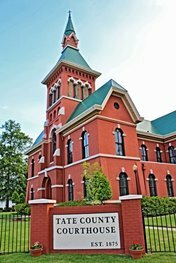 The Tate County Courthouse may be experienced by self-guided tours, Monday –Friday, 8:00-5:00. Museum exhibits are displayed in various areas throughout the courthouse. And the historic court rooms may be seen when court is not in session. On April 13, 1834 early settler James Peters purchased two sections of land from the Chickasaw Nation for the sum of $1.25 per acre. The land purchased later became the town of Senatobia. The name Senatobia was derived from the Indian word Senatohoba, which means “White Sycamore” and is a symbol of “rest for the weary.” Charles Meriwether named Senatobia. Senatobia was originally a rest stop on the trail leading to Hot Springs, Ark. 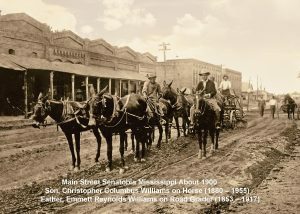 According to legend, the Indians discovered the curative powers of the hot springs and periodically made long trips to Arkansas, stopping to rest in the area that became Senatobia. After the Tennessee and Mississippi Railroad came through in 1856, Senatobia became a railroad station. New commerce came with the railroad and Senatobia saw immediate growth. 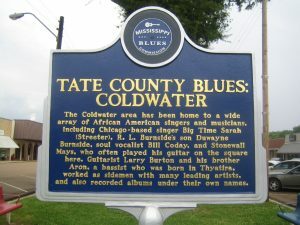 Senatobia, the county seat for Tate County, received its charter as a municipality in 1860, thirteen years prior to the creation of Tate County and just one year before the beginning of the Civil War. 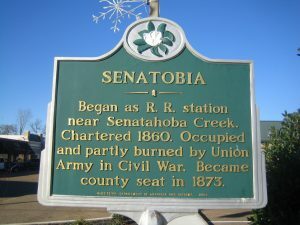 During the course of the Civil War, Senatobia’s business section was burned twice by Federal Troops. 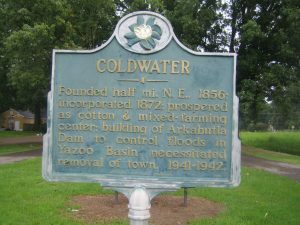 The 1880 census accounted for over fifty active businesses, a newly established newspaper and several physicians in Senatobia. 2000 Senatobia’s population was 6,682. 2006 Senatobia’s second interchange off I-55 was opened.